The launch of HOW’s second book, 2007. After the success of ‘A History of Wollaston’, it was proposed that a second book could be written concerning the history of the original Wollaston Schools. Janet Byard-Jones was able to research and write the book as she had access to the schools’ log-books and admission registers. The contents cover not just the life at the schools between 1859 and 1984, but also looks at the development of education, teacher training, a snapshot of village life in 1901 and contributions from past pupils, members of staff and parent-governors. 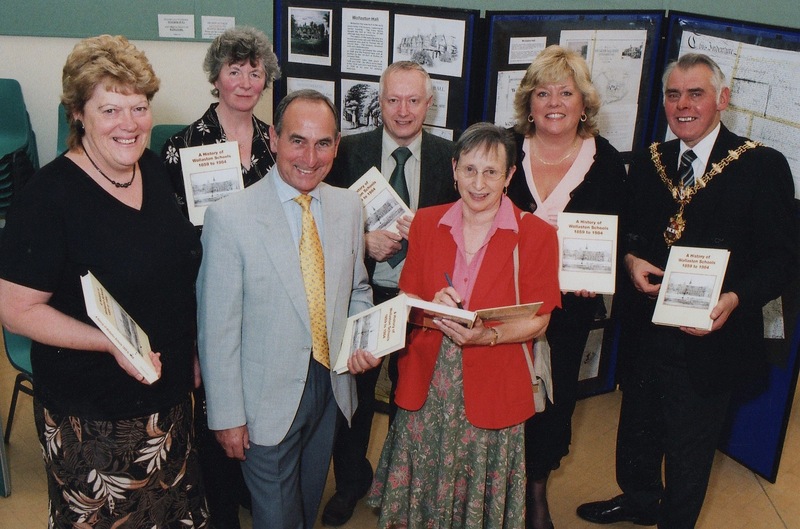 The book launch took place in the Church Hall and the photograph shows:- Anne Penn, headteacher of St James’s Primary School, Pat Burrage, HOW member, Alan Millichip, Chair of the Parochial Church Council, Paul Collins, Chair of HOW, Janet Byard-Jones, Linda Waltho, M.P. for Stourbridge, and the Mayor of Dudley, Councillor David Stanley. 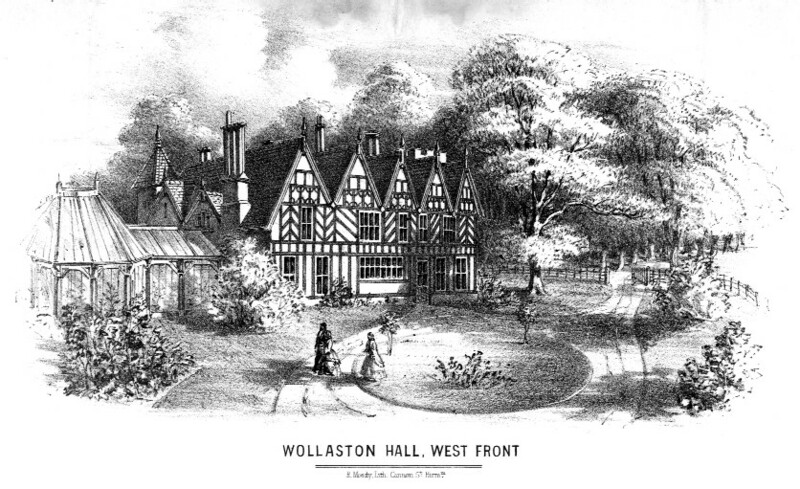 Previous: A painting of Wollaston Hall dated 1892. Next: A badge awarded for 5 years’ unbroken attendance.